Thu, 25 Feb 2015 at 5:22 p.m.
8:44 AM. Critics of a council-owned company owed millions of dollars from a housing subdivision say the public has been kept in the dark. Thu, 25 Feb 2016 at 9:39 a.m.
Mayor Cull on Morning Report today demonstrated a minimal grasp of commercial reality. He claimed that Delta’s position could not be disclosed because there were “negotiations” with “a third party” (a buyer). Memo to Mr Cull : A mortgagee sale is the first secured party saying – we have had enough – make us an offer. The amount owed on the other securities is of ZERO interest to the buyer except for the situation outlined below. What IS of great interest to the buyer, and what Mr Cull DID disclose is that there was only a single party involved. Doh !!!! The “third party” now knows that there there is no competition and the price just went down. The only time further ranking securities amounts would affect the sale price is when there is a chance that the sale might fetch MORE than the amount of the total debt. Mayor Cull was certainly not saying that, and we can be sure if there was any remote possibility that the Delta core debt of $11.3M with the additional $3.3M being all recovered he would be shouting that from the rooftops. Mayor Cull confirmed again that there was nothing “dodgy”, or “illegal”, it was just a bad debt and there was no finance element to the deal. Mayor Cull can then, after the sale process is concluded, reassure ratepayers that he is correct with a full report on the fiasco. By his own words today he is obligated to do so. Note : This correspondent was peripherally involved in a forced sale process of a recently completed project of a similar size to Noble (Yaldhurst) Subdivision. It had none of the planning or legal issues that plague Noble’s Yaldhurst. Debt was in excess of $20M and the forced sale process yielded a sale for less than a quarter of that. Reminder: What we knew about a year ago………. Dunedin’s Delta Utility Services, owed millions on infrastructure work it did on a Christchurch subdivision at Yaldhurst, hopes some of the debt will be repaid. But work at the Noble Village subdivision remains stalled, making it unlikely it will be repaid any time soon. Delta, which does contracting work such as drainlaying and civil engineering, reports into Dunedin City Holdings Ltd, a commercial arm of Dunedin City Council. DCHL chairman Graham Crombie wouldn’t disclose a total owed to Delta, but acknowledged it was in the millions of dollars. Crombie said Delta was in line to get paid for contracting work done, given it held a “security” over Noble land and sections. […] Noble Village Investments lists Gordon Stewart, of Wellington, as its sole director and owner. He was, until February 2012, a director of Apple Fields which has been managing the village development. He could not be contacted for comment. 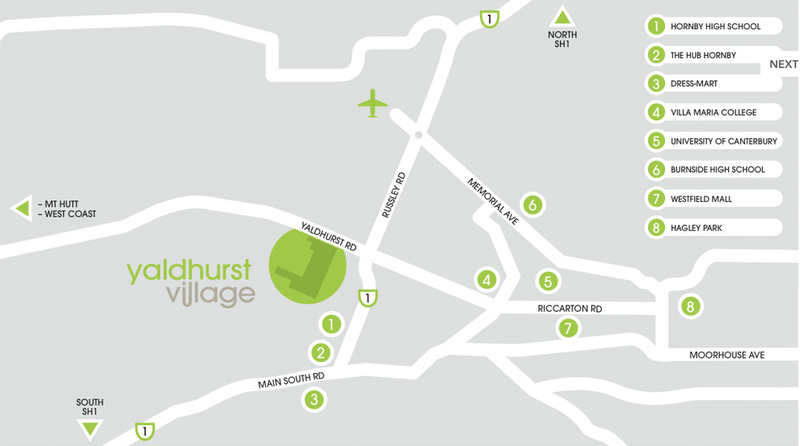 Southpac Property Investments has been a funder of the Yaldhurst development, according to a recent District Court judgment. In the judgment, Judge Emma Smith said a dispute arising in 2006 between [landowner] parties in the subdivision, still “continues” in a High and Court of Appeal process. Caveats against the whole of the land under development had the effect of bringing the Yaldhurst subdivision project to somewhat of a halt. The caveats in essence meant it was impossible to raise finance to advance the subdivision, she said. He understood that issues holding up the development, including work with Christchurch City Council and the NZ Transport Agency and neighbour’s concerns, were being worked through, with Delta still involved. 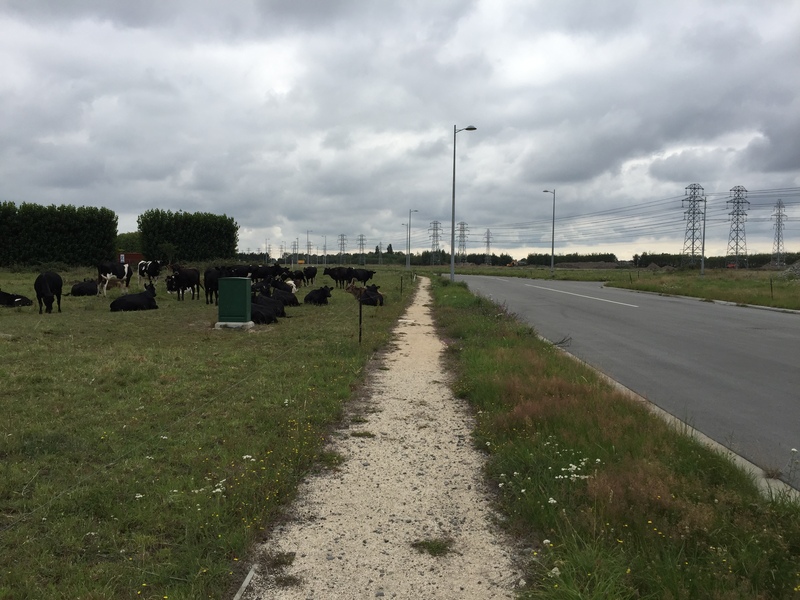 Riccarton-Wigram Community board chairman Mike Mora said the spine road into the Noble subdivision was too narrow and not built to roading standards and other roads in the subdivision had not been built to an agreed design. It was an issue that went back to the developer rather than the construction team. Mora said another issue for the developer to handle was work on stormwater infrastructure. It is understood the developer has lodged a variation to the subdivison’s resource consents with Christchurch City Council. That is being worked through to ensure the road layout in particular meets safety requirements. Council officers will not accept roads for vesting in the council until it does. Confident optimistic people are popular. We humans seem to be hard-wired to trust them, indeed we seem to instinctively take people at face value unless/until there is evidence to the contrary. Who noticed the US tennis player’s criticism of Lydia Ko for over-modesty, not talking herself up which in US terms appears to be desirable but in NZ is regarded as unattractive boastfulness. Most of us express our confidence rather quietly, an example being the (often misunderstood) expression “She’ll be right.” It wasn’t slapdash, when I was young. It was like, “This [repair] will last as long as the car / be plenty good enough to get you home safely” and the response was expected to be similarly low-key, no whooping, no kissing. Thanks mate, really appreciate that. Skeptics who identify publicly as such are seen as killjoys, anti-everything. Asking questions which don’t have cosy answers. Naysayers, quoting known facts and figures – analysing them what’s more – and holding them up against the confident optimists’ predictions. On a rainy day what’s better than a rainbow, and a confident optimist declaring that the end of it has been located? Yes! Invest in the required digger, the secure gold storage bunker with our (coincidentally!) firm’s security system but wait there’s more … jobs for security staff too! Nobody wants to hear a skeptic point out that most rational investment for rainy days is a small-scale umbrella repair shop…. ….located somewhere that’s not South Dunedin. Delta knew the issues…. still risked DCC funds. Closely associated question – why is mandatory random drug testing confined to machinery operators and ordinary wage-earners, when high-level decision makers can so easily create so much damage in society? Much too hard to answer, Hype O’Thermia. Gamesmanship and power egos and greed and…. ….too easy to secure borrowings against the misuse of ratepayer funds. It’s all to do with OPM (other people’s money) if there was any personal ‘skin in the game’ from Delta executive staff the outcome here would almost certainly be different. Rarefied salaries like those here should be attached to performance standards. But our elected caretakers would find that uncomfortable, and for the same reason, it’s OPM!!! The cost recovery comes as Delta is also seeking about $13.3 million dollars it invested into a failed Christchurch subdivision. A council-owned infrastructure company is seeking to recover thousands of dollars in costs after a string of electrical incidents. Delta has reported a series of problems involving contractors from around the city, that have caused damage to the electricity network. And staff are calling for businesses to become more safety conscious for the sake of workers and the public. DUDsney World, pay through the nose to be taken for a ride. A Dunedin City councillor says the public has been kept in the dark for too long about a council company owed millions of dollars from a subdivision. 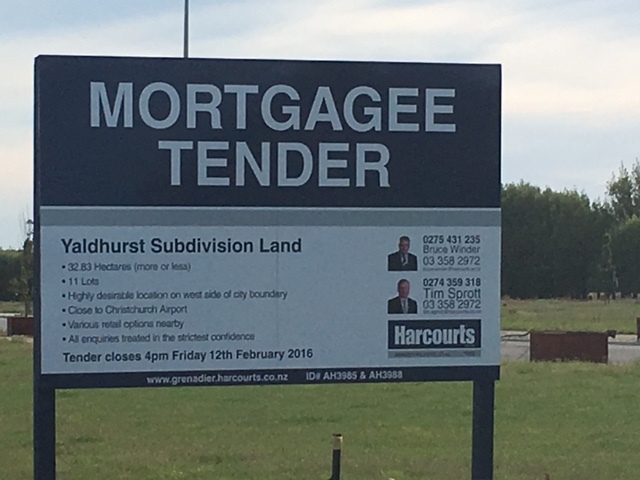 Details are emerging of the $13 million owed to Delta for its work on roads and sewerage at the stalled Yaldhurst Village subdivision in Christchurch. Councillor Hilary Calvert said it was time the public was told the full story of Delta’s Yaldhurst saga, and who was responsible. She said after a year of questions, it was still not clear whether the company had lost $13 million or $24 million and what it had been doing about it. But Dunedin mayor Dave Cull said nothing dodgy or illegal had happened, just complicated proceedings to get Delta paid. Mr Cull said the case was at a very sensitive stage, and councillors stirring up the story were undermining their own company’s efforts to get the money back. … [Thanks] the team for ever increasing transparency and better books to us. But, rather awkward… we have a report to Councillors behind closed doors, [as well as the reports tabled] which does or doesn’t help…. Something off about Dave and Kate. They don’t seem to cope with the political manipulations like several of their more cunning colleagues. It’s like they’ve been prepared ahead of schedule but still running the scenario through their heads when confronted with it. The DCC video of the full council meeting held on Monday 22 February 2016 has been uploaded to YouTube – thus the above notes can be moved into full transcription and properly ordered/corrected. Mayor Cull’s awfully keen on “moving on” isn’t he? Nothing to see here…..
Short for “nothing to see here, move along folks”. A ironic or sarcastic phrase uttered by a person who feels that he/she has detected a hidden, usually unpleasant or sinister, deeper meaning of a story or event that the reporter or authority on that event wishes to conceal possibly to avoid upsetting the general public. From the police phrase, “nothing to see here move along”. which is often said to a crowd of people that have collected at the scene of an accident or crime and who the officer wishes to disperse without communicating the cause of the crime or accident. The phrase is found in political commentary often on weblogs on hot button events like terrorism and political corruption. NBR business journalist Tim Hunter got stuck into Delta issues today – providing a general overview on concerns he has with Delta’s position. Suspect we will hear more in future weeks. The opinion piece is behind the pay wall – I bought a print copy today, but aware that copyright pertains so not able to re-publish in full here. reading copies are available at Dunedin Public Libraries if you can’t afford a subscription or the shop price. The implication is that Delta is owed the eyewatering sum of $11.3m by one single customer, plus interest and penalties, with the only hope of recovery being from the exercise of its security over property in the subdivision, which may or may not be worth enough to cover it. Tenders closed on a mortgagee sale on February l2.